“Welcome to the show that made country music famous, the Grand Ole Opry!” It started off as a radio show back in 1925. 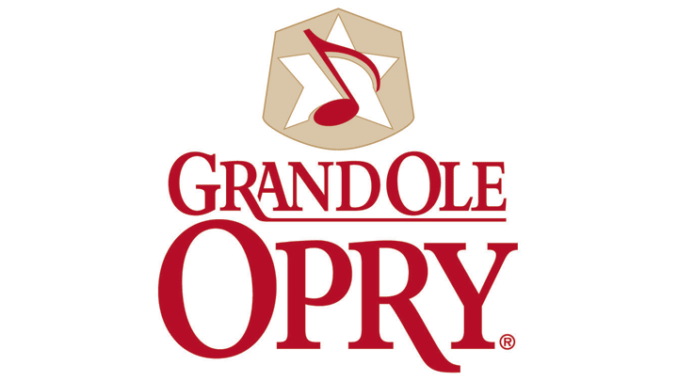 It is now the longest running program of all time where millions can tune in regularly to Opry broadcasts via a mobile app, SiriusXM Satellite Radio, Nashville’s 650 AM WSM, and on opry.com or wsmonline.com. The concerts feature multiple generations of artists from up and comers to the legends who have been members of the Opry for decades. Membership is a privilege – one is asked to join the Opry. With that honor comes some obligations such as playing at the Opry a certain number of times per year. 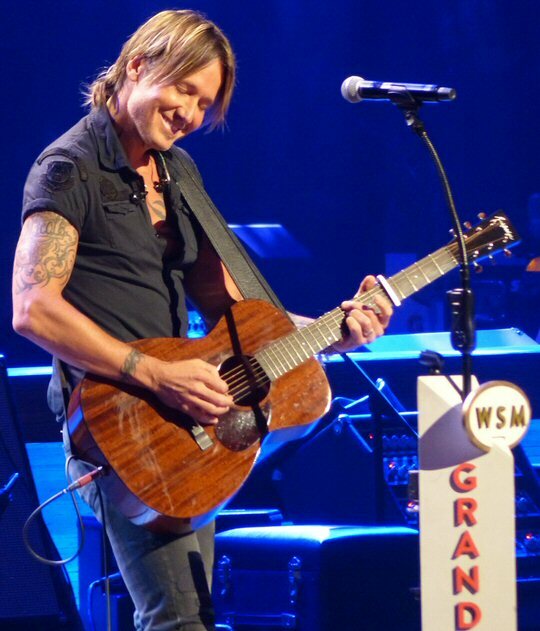 Keith Urban played two long sets at the hallowed hall in Music City. For many attending a live performance of the Grand Ole Opry it is a pilgrimage – a once in a lifetime moment. The summer is the height of tourist season in Nashville, Tennessee so the Opry amps up their already star studded shows. On Tuesday August 16, 2016 Keith Urban and Darius Rucker topped the bill for two evening performances. Pre-concert activities included a chat with the crowd to determine where folks were from or if they were celebrating a special occasion. Next, a short video starring country music sweetheart Carrie Underwood was shown. She shared a brief history about the Opry and the thrill of being a part of this unique family. Throughout the night artists commented on the pleasure of performing here. They understand the long history and importance of the Opry. Some even stated that they are nervous playing at this hallowed hall. Keith Urban appeared confident as he took the stage to loud applause. Keith opened with a crowd pleasing “Break On Me”. Urban showcased new songs from his latest release Ripcord including the beguiling “Blue Ain’t Your Color” punctuating his prose with potent guitar leads. He continued to engage the crowd with an expanded version of the catchy “John Cougar, John Deere, John 3:16” along with the rocking reminiscing of “Wasted Time” another winner from the new album to close his Opry set. 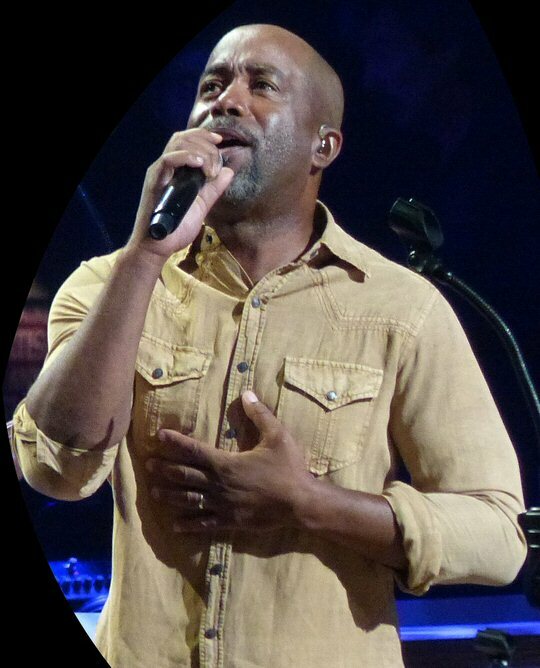 Darius Rucker has made a successful transition from rock idol to country star. Darius Rucker easily worked the crowd too encouraging fans to clap and sing along to “All Right” an up-tempo song of thanksgiving. Rucker’s warm vocals worked well in the context of this tune. Darius also played new material. “If I Told You” was a reflective look at his faults while asking could you love me anyway? The attitude of gratitude continued for the up-beat “Alright” thus finishing up on an inspiring note. Del McCoury first performed at the Opry back in 1963. He is a Grammy award winning musician who was inducted into the Opry in 2003. The Del McCoury Band played a spirited set of bluegrass music. It was prime pickin’. Lorrie Morgan has been a member since 1984. She presented a more traditional side of country music. Drew Baldridge shared his musical roots with fine storytelling including a catchy and comical tune about a girl who makes the best burnt toast. Drew said that he moved to Nashville about five years ago and never dreamed that he would be here. Yet another artist appreciative of the legendary Opry. Baldridge mentioned that he grew up on a farm, where we went to church on Sunday. “Can I get an Amen on that?” he asked. “Tractors Don’t Roll” was his tip of the hat to faith and small town life. Clare Dunn a newer voice on the scene also grew up on a farm. Her music echoed of those times but she also presented the up-temp “Tuxedo”. John Conlee with his distinctive voice started the festivities on Tuesday night with a rousing “Let The Good Times Roll” and closing with his classic “Rose Colored Glasses”. The Grand Ole Opry is the show that makes country music famous. Yes, the genre has changed over the years but many newer artists still play old-school country while others may rock it out. There are still enough long standing members to maintain the more traditional side of country. The Grand Ole Opry is diverse thus attracting a wide range of fans from teens to seniors, thus the circle continues. 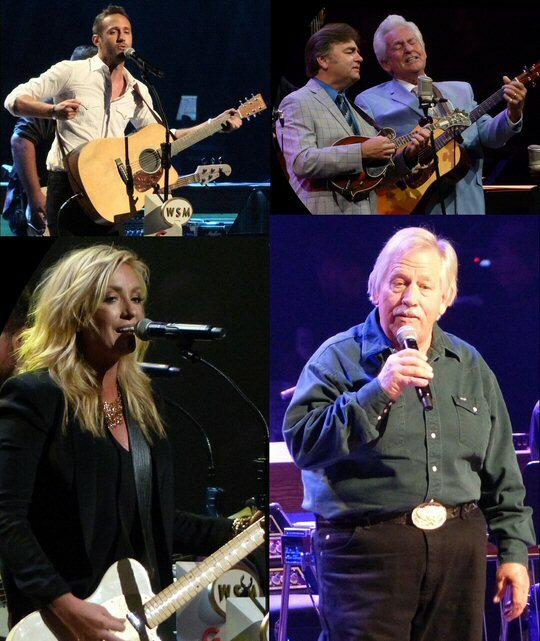 Drew Baldridge, Del McCoury, John Conlee and Clare Dunn at the Opry.